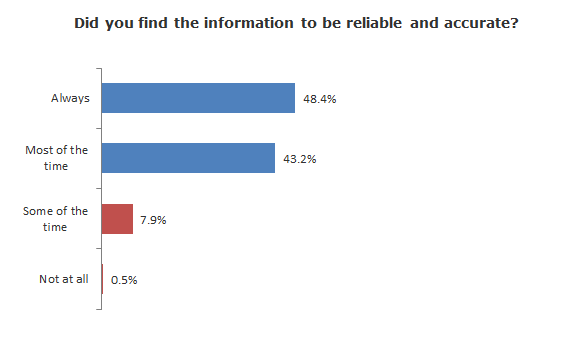 Most say we're clear, accurate, useful and unbiased. Once again, FactCheck.org’s subscribers tell us they find our articles to be clear, unbiased, accurate and useful. The results of our latest post-election survey are similar to those from surveys we conducted after the presidential elections of 2004 and 2008. 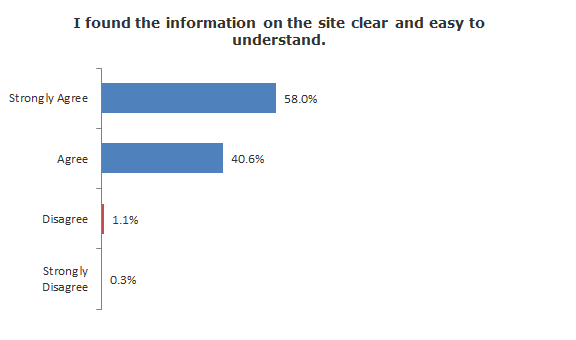 In all three surveys, 99 percent said they found our articles clear and easy to understand. 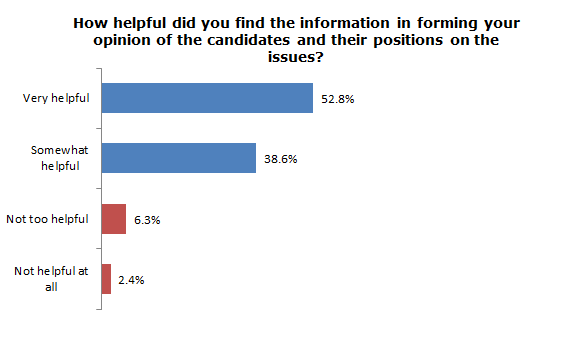 This time, 91 percent said they found our articles helpful in forming an opinion of the candidates, down a bit from 93 percent in the previous two surveys. And this time, 76 percent said we made them more confident they were casting the right vote, compared with 78 percent in 2004 and 79 percent in 2008. And finally, 90 percent found our articles to be free of political bias in 2012. That’s down a bit from 94 percent in 2004 and 91 percent in 2008. But, as before, those who saw bias disagreed on whether we leaned right or left. We don’t pretend that these results are anything like a scientific sample of all who visit our site. That’s because our subscribers are not a random sample of everybody who visits, and the subscribers who chose to respond to our invitation to take this survey are not a random sample of all subscribers. But we are once again gratified at what we consider a fairly high response rate for such a survey, and at the very favorable results. For full results, please read on to our Analysis section. Between Nov. 8 and Nov. 14, a total of 5,147 of our subscribers responded to our invitation to fill out an online survey. This survey was conducted using an online questionnaire that repeated many of the same questions we asked in our 2004 and 2008 surveys. We present the key findings here. Please note, not all percentages will add to exactly 100 percent, due to rounding error. Fully 98 percent of respondents said they had voted in 2012, and of those, three out of four said our work made them more confident that they made the right choice in the voting booth. A few said they saw the information on our site to contain bias, but they disagreed as to the direction of that bias. As you might expect, perceptions of bias tended to break down along party lines. But not entirely. 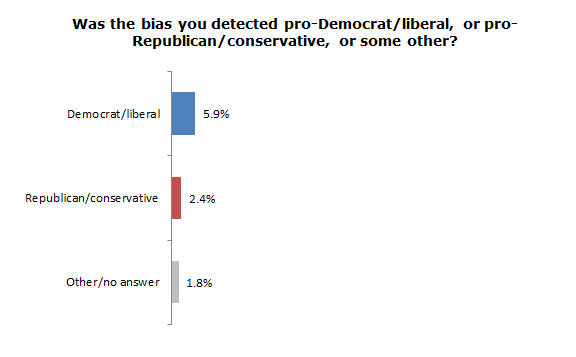 Of those who saw bias and who identified themselves as Republicans, nearly 90 percent thought we leaned Democratic/liberal, and of Democrats who saw us as biased, 61 percent thought we leaned Republican/conservative. But nearly 5 percent of Republicans in this group thought we leaned their way, and just over 10 percent of Democrats who saw any bias though it went in their direction. Independents who saw bias also disagreed: Nearly 69 percent thought we leaned left, 17 percent thought we leaned right, and the rest saw some other sort of bias. For the record, we do our best to apply the same standards of accuracy to claims made by all sides, and to be as unbiased as possible. Our subscribers tell us they are an exceptionally well educated and politically active group. Nearly two out of five (39 percent) say they hold a post-graduate degree, either a master’s degree or higher. Another 31 percent hold a bachelor’s degree, and an additional 25 percent tell us they have at least some college education, but less than a four-year degree. Fourteen percent say they worked in a political campaign in 2012, all but a few of them as unpaid volunteers. More than one in 10 (11.5 percent) tell us they are teachers, most of them at a high school or college level. One out of three of those teachers say they use our material in class. Two percent tell us they are journalists. 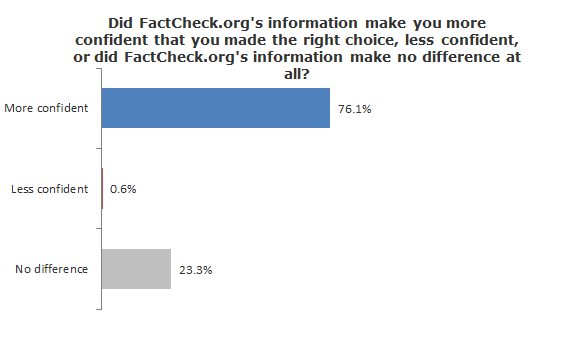 “FactCheck.org 2012 Post-election User Survey.” Online survey of subscribers conducted Nov. 8-14 2012. Note: Figures shown here are derived from 5,147 responses received as of Nov. 14. Invitations were e-mailed over a period of four days to more than 80,000 FactCheck.org subscribers whose e-mail addresses were on file as of Nov. 7, 2012. The survey was closed Nov. 14. We are grateful to all who took the time to respond. Next StoryIs Obama to Blame for Lockheed’s 123,000 ‘Layoffs’?